Sondra Baker, a.k.a. The Beer Maven, is a lover of all things beer. Keep reading to find out The Beer Maven’s favourite India Pale Ales of 2016. My First taste of IPA was as a kid on P.E.I., sneaking sips of the old man’s Alexander Keiths India Pale Ale. I found it nasty and never understood why he loved it so much. I’ve recently rediscovered IPAs but on a whole new level. While I never became a fan of Keiths like Dad, these IPAs are my top 5 must try for hop heads or those willing to give hops a chance. 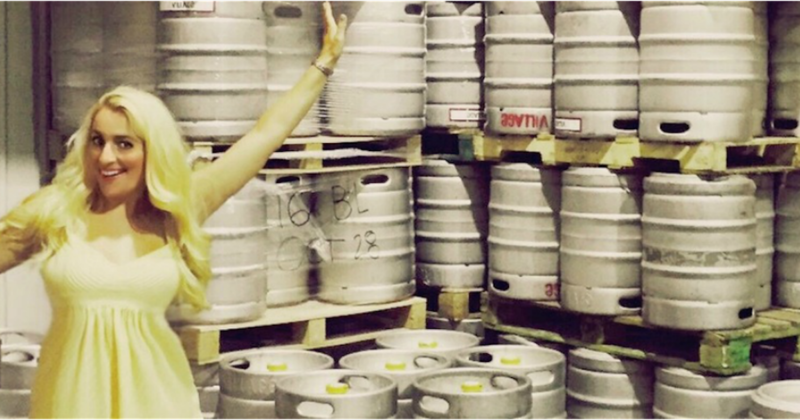 Are you an India Pale Ale lover like Sondra Baker? This India Pale Ale is only for serious IPA lovers (or those with an adventurous palate). This Triple IPA has intense hop drop with emphasis on intense. Hammered home with 10.5% its strong and bitter just like your ex. The eclipse here is the hop passing through to a clean crisp finish. The deep amber color looks intense with the off white head. With the caramelized hops flavor pushing through for just the right amount of balance. Hop Addict? Then get your fill here. Extreme hops give way to light floral notes and a bitter citrus finish. Caramel in color with an 8.5 % kicker it’s a gift in a gift like a beer turducken. Double Daddy Imperial India Pale Ale tastes like it smells, malty first then bitter with a surprisingly clean taste that doesn’t linger. This beautiful brew is cloudy with light caramel notes and a thick creamy head. Don’t let the 60 IBU’s fool you it’s a hops delight. The Unique name grabbed my attention and I wasn’t let down. Fat Tug pours a deep amber color with a thin but creamy head. The first hit is all hops but that is soon replaced with fresh fruity notes and finishes smoother than what you’d expect from 80 IBU. From the Pacific Beer Chat Podcast: The PBCP guys share their latest beer festival adventures, weigh on the pumpkin beer trend, and tell us their thoughts about the wet hot beer season.